The story of how Angela Carter invented herself – as a new kind of woman and a new kind of writer – and how she came to write such seductive and distinctive masterworks as The Bloody Chamber, Nights at the Circus, and Wise Children. 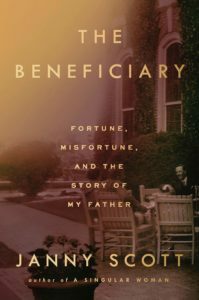 This gripping biography, brimming with new material, comes 24 years after Carter’s death and is the first full account of her life...[Gordon] has undertaken feats of scholarship and written an admirably clear-sighted book ... The Invention of Angela Carter is much more about purposeful choices and intellectual energy than about sorcery or fairy charms. Carter’s gleeful whimsicality is here but it’s a grace note. Gordon mistrusts the tendency to mythologise Carter as a white witch of modern literature, and thinks the provocative, high-risk elements of her feminism have too often been flattened to fit political readings of her work ... There have been, and will be, more cracklingly brilliant discussions of Carter’s fiction than Gordon gives here. 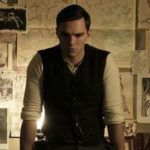 And if you want a biography like a Carter novel, with striking contrasts and luxuriant prose, all 'blood and brains,' flair and fiesta, you may need to look elsewhere. Gordon’s achievement, however, is tremendous. From baroque entanglements of material and controversy, he brings living contours into view. Edmund Gordon has written a terrific book — judicious, warm, confident and casually witty. The ratio of insight to literary-world gossip, of white swan to black swan, is as well calibrated as one of Sara Mearns’s impossible balletic leaps ... This bio unfolds a bit like one of the fairy tales Carter shook to release its meaning. The pages turn themselves ...After her death, Rushdie wrote that 'English literature has lost its high sorceress, its benevolent white witch.' This biography is witchy, in the best sense, as well. Gordon makes no trite elisions between the fiction and the life, but it is hard not to look at his illustrations in which Carter balloons and shrinks, becoming by turns vampish, boyish, girlish and bohemian, without thinking of all the metamorphoses and chimeras that recur in her work ... Gordon faces thorny ethical questions in dealing with a life in living memory. Paul Carter, who declined to talk to him, has since died, and Gordon teases out the tangled facts with gentle even?handedness, setting aside some of what Angela said as bravado, for she had been much in love when she got married ... Gordon feels free to take issue with the doctrinaire strain of feminist critique that attempts to shoehorn Carter into a politically correct shape she doesn’t fit ... Gordon knows he has caught his subject on the wing of posterity, that it will take another generation to see her “in the round” and other biographies will appear; but they will not supplant this one, which has the irreplaceable imprint of a life still warm to the touch of memory. 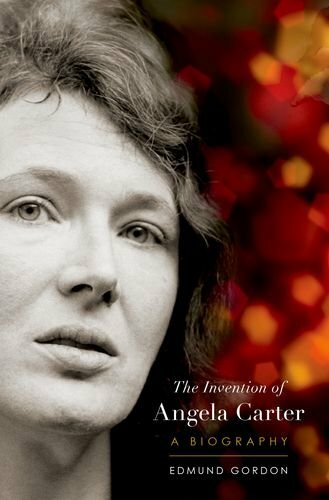 What did you think of The Invention of Angela Carter?